If you have areas of fat that no matter what you do you can’t lose, CoolSculpting is a perfect solution for you! CoolSculpting is a state of the art, non-surgical contouring procedure that freezes stubborn fat, resulting in it being naturally removed from your body. There is no anesthetic, needles, surgery, special diet, supplements or downtime. CoolSculpting is FDA-cleared, successful and safe. The Shaw Center is the only Certified CoolSculpting Center in North Scottsdale and one of two centers backed by a Board Certified Plastic Surgeon. Renowned Harvard University scientists, Dieter Manstein, MD and R. Rox Anderson, MD, developed CoolSculpting. The doctors realized that some children develop dimples while eating popsicles and this simple observation is how CoolSculpting was born. The concept that cold has the ability to affect fat cells was the intuition behind Cryolipolysis, the evidence that CoolSculpting is built off of. 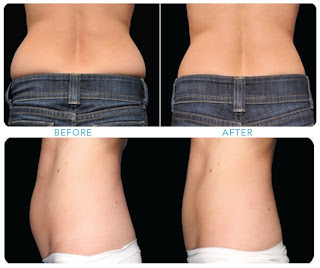 Options for CoolSculpting are on your hips, love handles, muffin tops, abdomen, inner thighs, upper arms, and back fat. The procedure does not damage the skin or other tissues and only strictly affects fat cells. Patients are able to return to their normal routine immediately after the procedure, including strenuous exercise. The alternative to CoolSculpting is Liposuction, which requires anesthesia, incisions, and recovery time; however, a major upside to Liposuction is that it can target larger areas with more considerable results. The benefit of CoolSculpting is that it does not require any surgery, needles or downtime. The areas that are ideal for treatment with CoolSculpting are the waist, upper/lower abdomen and inner thighs and patients can anticipate a 20% reduction per treatment. For more information and to schedule a complimentary consultation with one of our CoolSculpting experts, call (480)767-1900.